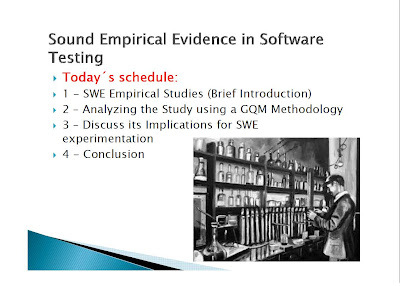 In this presentation I will show a set of important topics about Software Engineering Empirical Studies that can be useful for increasing quality on your thesis and monographs in general. You can read this presentation and to think about how to do a good experimentation by apply its objectives, validation methods, questions, answers expected, define metrics and measuring it. I will exhibit how the researchers selected the data for avoid case studies in a biased way using a GQM methodology to sort the study in a simpler view as well. The full presentation can be seen here!